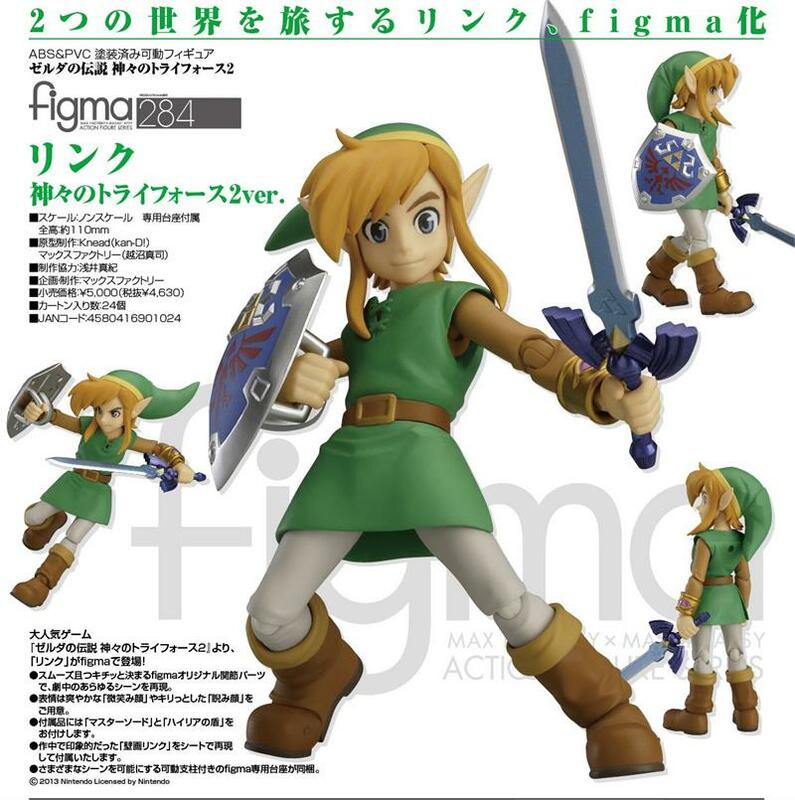 From the popular game 'The Legend of Zelda: A Link Between Worlds' comes a figma of Link! » Using the smooth yet posable joints of figma, you can act out a variety of different scenes. » He comes with both a confident smiling expression as well as a more serious glaring expression. » His Master Sword and Hylian Shield are both included as optional parts. » A sheet featuring the illustration of the wall merged Link is also included. » An articulated figma stand is included, which allows various poses to be taken. Japanese Title: figma ゼルダの伝説 神々のトライフォース2 リンク 神々のトライフォース2ver.